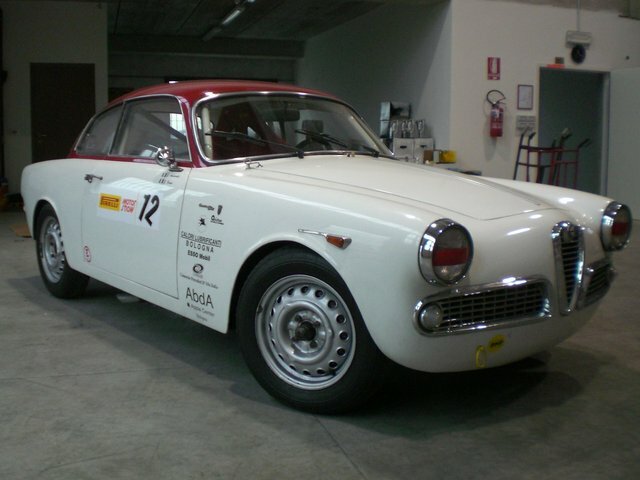 Giulietta TI 10129*237039. 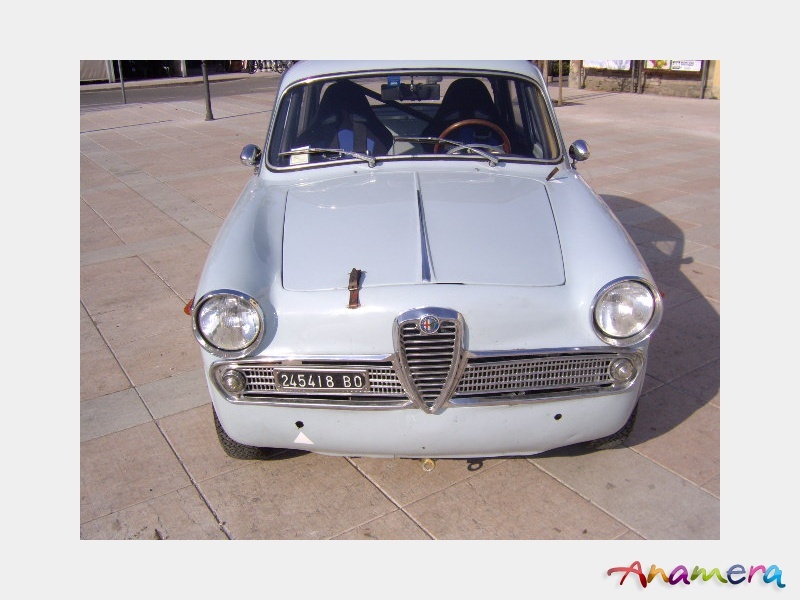 This car has been around for sale for about a year and coincidentally (I didn’t start this as a market, but I guess it is) was just relisted on Anamera for 13,000 Euro or about $17,600 at time of writing. Fit and finish is just right for a street/track car and it looks to be street registered. 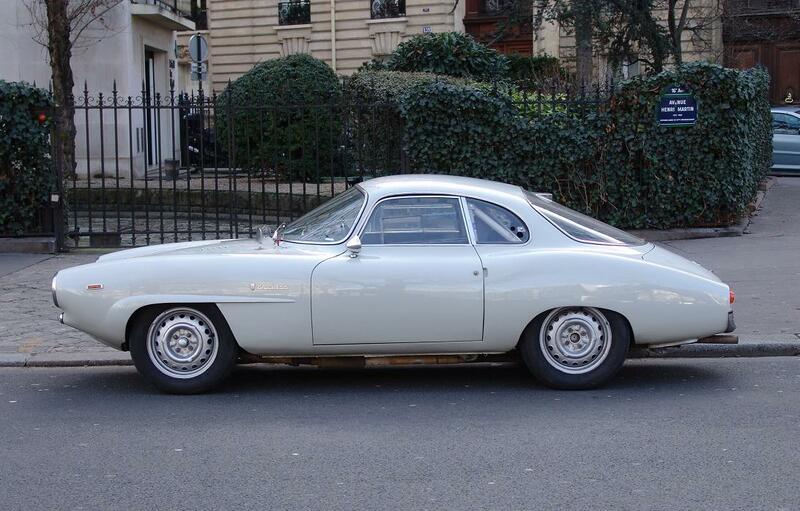 The Giulietta TI was born when a Sprint normale engine was fitted to a Giulietta Berlina and some details changed -the addition of a tach for example. 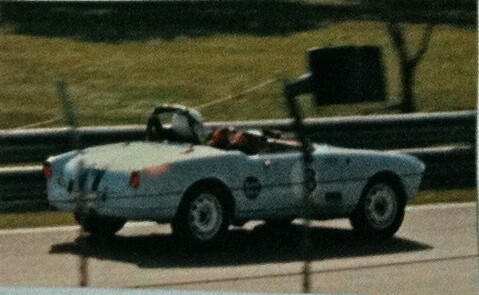 At the 1957 Coup Des Alpes a team of 3 TI’s ran and did very well. I like the bumper delete and single leather hood latch. Update 12/5/09: This car sold for $5000 even. 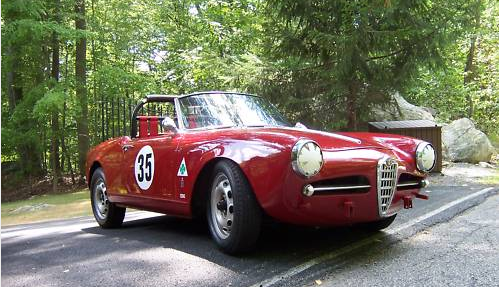 Seemingly the new norm for incomplete unremarkable Giulietta Spider rollers. 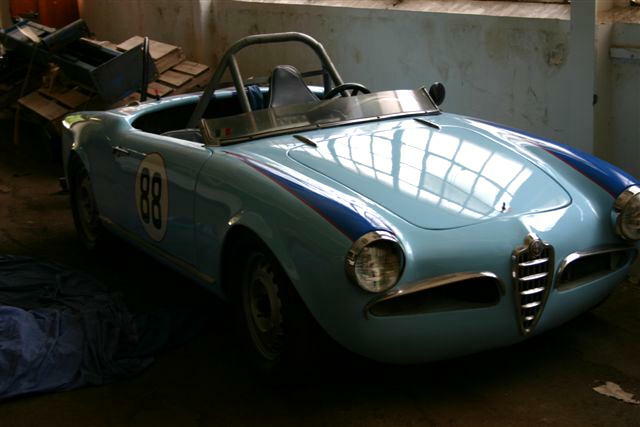 Giulietta Spider 1495*09110. 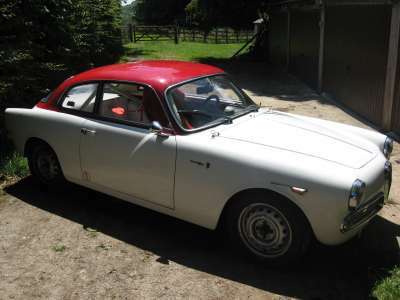 This car is on eBay right now from a seller in the north east US who seems to have a lot of Giulietta stuff in their barn. This car is said to have been a long time race car, but seems to only be stickers, stripes and a roll bar away from being your usual remainder of a parted out Spider- very solid and rust free remainder I should add. Race number might help explain why it ended up years later stripped on anything of value and sold off. Front looks tough with the bumper brackets and blanks where the signal lights go. Certainly sits low for a car with no engine, supporting the race car claim. Update 10/20/09: 28 bidders resulted in a seling price of $13,500. This is very low for this car. A competitive 1300 engine alone is close to $10K to build. I wish I wasn’t paring down myself or I would have jumped in! 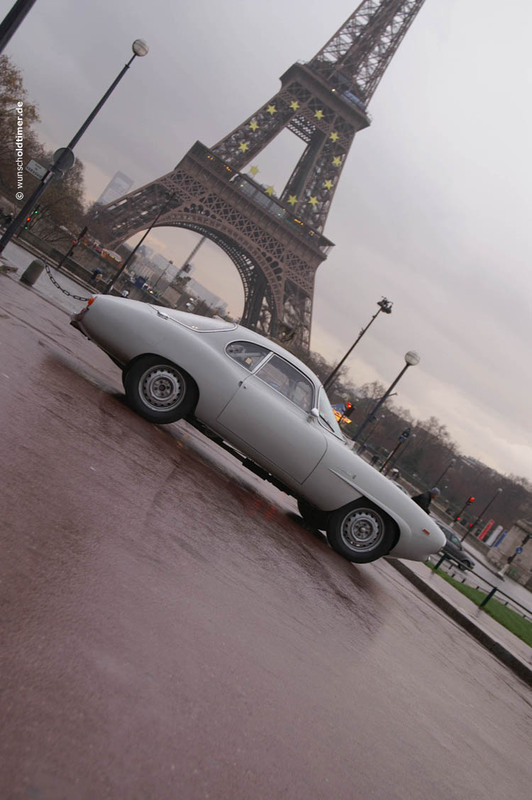 Another Giulietta heads for Germany. Update 10/14/09: This car is back on eBay. Previous buyer and now seller has a pretty comprehensive description and you now know exactly what you are getting. If nothing else, the auction is worth a visit to see some vintage pictures of it in action. I wonder what has been done to the engine? Cams? Big valves? Look for a solid end price this time. Looks like fun. These cars look good with no grill trims at all. It’s hard to put a price on proven track time. This car seems to have it. I want a race car! 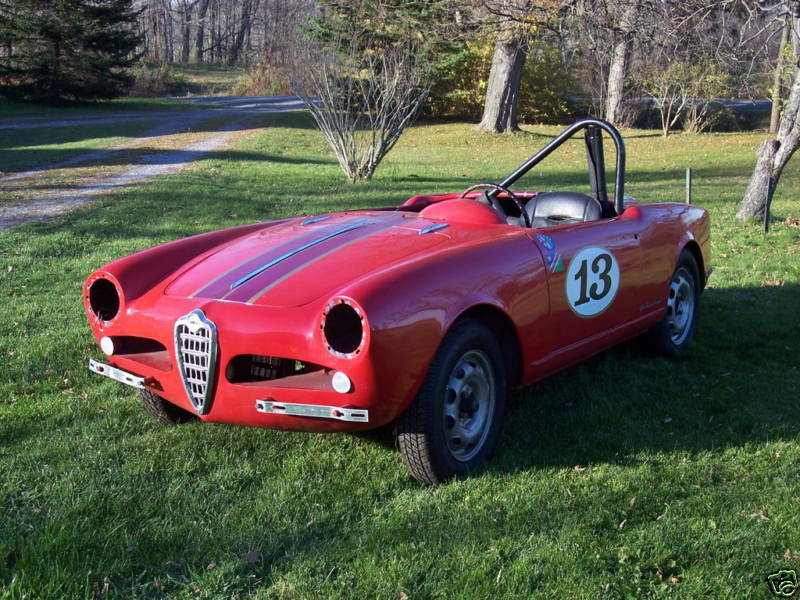 Giulietta Spider Race Car 10103 1495*11341. This car was on eBay briefly last week and ended BUY IT NOW on 5/22/09 for $12,000. Someone got an amazing deal or ripped off and I suspect the latter. If you know this car drop me a line. Good color, great panel fit, very nice trim condition.